Many of us have heard the acronyms SSI and SSDI but do we know the true definition? SSI: "Supplemental Security Income" is a Federal income supplement program funded by general tax revenues (not Social Security taxes). It pays benefits based on financial need. 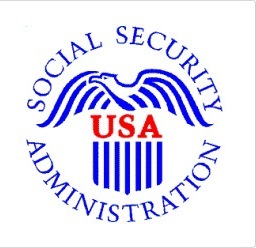 SSDI: "Social Security Disability Insurance". It pays benefits to you and certain members of your family if you are "insured," meaning that you worked long enough and paid Social Security taxes. Medicare is our country’s health insurance program for people age 65 or older. Certain people younger than age 65 can qualify for Medicare, too, including those who have disabilities, permanent kidney failure or amyotrophic lateral sclerosis (Lou Gehrig’s disease). The program helps with the cost of health care, but it does not cover all medical expenses or the cost of most long-term care. The Centers for Medicare & Medicaid Services is the agency in charge of the Medicare program. But you apply for Medicare at Social Security, and we can give you general information about the Medicare program. Medicare has four parts and an explanation for each of them is below. Just click the part for an explanation. Please be advised, a new style card that doesn’t show your Social Security number will be sent to all registered with Medicare. To avoid confusion, we have the new style and old style to the left.